Significant Terms.. New Players Only. Wagering occurs from real balance first. 50x wagering the bonus or any winnings generated from free spins, contribution may vary per game. The wagering requirement is calculated on bonus bets only. Bonus is valid for 30 Days/ free spins valid for 1 day from issue. Max conversion: 5 times the bonus amount or from free spins: $/£/€ 20 or 200 kr. Full Terms apply. If you’re on the lookout for an online casino offering innovative slots and superb casino games, pay attention to MrSuperPlay. This is an online casino that works hard to provide a high-quality experience to each and every one of its members, guaranteeing endless amounts of fun yet safe gaming. MrSuperPlay is a fairly new online casino, founded not long ago in 2017. Throughout its short lifetime, the website has added more and more game variety for its players, so you can now find a good variety of table games and live casino games alongside the vast array of slots. 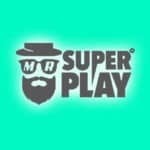 To find out more about MrSuperPlay, the games available and the promotions on offer, read our thorough review of this online casino. MrSuperPlay is a slot lovers haven, with an endless number of high-quality video slots on offer, from some of the biggest and best providers in the industry. Expect to find thrilling slots from the likes of NetEnt, NextGen Gaming and Lightning Box on MrSuperPlay. There are certainly some pros to the MrSuperPlay website, but it does have some drawbacks too. The theme and style is somewhat cool and sophisticated, but lacks some of the user-friendly elements that other online casino sites offer. It’s not immediately apparent where to find the variety of games available – instead, the promotions steal the limelight on the homepage. 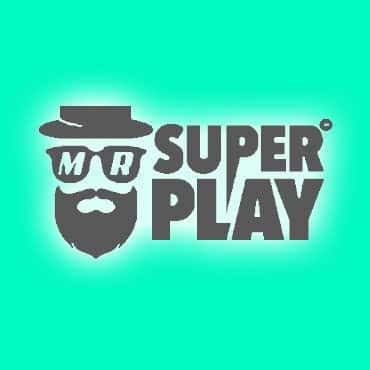 What’s interesting about MrSuperPlay is that it has a “casual games” section of the site, which might be more appealing to those that are new to the online casino sphere. This is an inviting area for those who might not yet be ready to play amongst the more serious of enthusiasts. MrSuperPlay is licensed and regulated by the Malta Gaming Authority and the UK Gambling Commission, which establishes the online casino as a safe place to enter your details. What’s more, this particular online casino is big on promoting responsible gaming, by helping members to control the amount of money spent on the website, as well as ensuring anyone under the age of 18 is unable to make use of the website. Games on MrSuperPlay are categorised by slot games, casual games, live casino games, jackpot games and table games. By clicking through to each category from the main menu, you will be able to browse the good amount of games available on the website. Slot games certainly dominate the mix of games available on MrSuperPlay, but their offering within the other categories is fairly decent too. The slots category contains some of the most popular games in the industry, as well as up and coming additions too. Enjoy the likes of Viking Fire, Fortune of Sparta, Mermaids Millions and Bangkok Nights, to name just a few. Quality is never forgotten on MrSuperPlay, and only the very best slots are made available to its members. Over on the table games category page, you can enjoy classics such as blackjack, poker and roulette, as well as other more modern versions of table games, including 3D baccarat and 3D blackjack. Alternatively, if you’re looking for something fun and imaginative, head over to the casual games arena. There you will find various games designed to offer something a little outside the ordinary, for when you fancy a more relaxing gaming experience. MrSuperPlay offers a fantastic variety of banking options, much more than the average online casino does. Deposits can be made via major debit and credit cards, PayPal, Pay viaPhone, PaySafeCard, Trustly, Zimpler, EcoPayz, NETeller, Skrill, iDEAL, Sofort, Giropay, Qiwi, WebMoney, Fast BankTransfer and Euteller. Better yet, members are able to set their own daily, weekly or monthly limits, to promote responsible gaming and to prevent members from overspending on the website. Withdrawals can also be made by the same methods as deposits, and the amount of time it takes to receive your money will depend on the method you choose to use. For example, withdrawals made to a credit or debit card will take up to 7 days, whereas withdrawals made to Skrill, Paysafecard or Neteller can take just 48 hours to process. There are also minimum and maximum withdrawals associated with each withdrawal method, something to bear in mind when looking to take your money out of your MrSuperPlay account. MrSuperPlay does have some wagering requirements in place, which differ depending on the game you play and win money from. There is a 50x wagering requirement for welcome bonuses, and we would recommend reading through the terms and conditions before taking on a game or before trying to withdraw money. Wagering requirements and withdrawal limits are very common with online casinos, so this isn’t necessarily a disadvantage of playing on MrSuperPlay. However, with the various payment methods, MrSuperPlay is certainly standing out from the crowd and greatly advancing their user experience compared to some other online casinos. Promotions and bonuses on MrSuperPlay can vary, with different times of the year bringing about changes to their incentives for new players and existing members. New players will receive a 150% welcome bonus for first deposits of up to £950, which can be used on a selection of MrSuperPlay games. New players also receive a number of free spins as part of their welcome package, which can be used within 7 days of your first deposit. There are many other promotions on offer for new players and existing members too! From Roulette Cashback on Saturdays and Sundays, to the Twice Wicked bonus from Monday to Thursday, MrSuperPlay has plenty of promotions on offer throughout the weeks, months and year! Loyal members can also reap the rewards of the Weekly Surprise bonus, which is offered up every Tuesday and gives back to members who have been with MrSuperPlay for a long time. The customer service available at MrSuperPlay is superior to many other online casinos and their support. A friendly and knowledgeable team is available 24 hours a day, 7 days a week through the website’s live chat service or through email. Queries are dealt with in a timely manner, so members can resolve any issues and get back to playing in no time at all! The only improvement to be made would be to provide a phone number, which members can use to seek solutions to any urgent issues they come across. The user interface on MrSuperPlay could be improved, but provides the basics to any quality online gaming experience. Promotions and the login area are certainly easy to find and readily accessible, but we would recommend making the games categories more visible on the homepage. After all, a gaming experience is what potential members are looking for from MrSuperPlay! There isn’t an app available as of yet, but the website is mobile friendly, meaning members can easily access their account and play their favourite games through their mobile or tablet’s browser. The site is still fairly young, so an app may be something that is planned in for the future. Security lies at the heart of MrSuperPlay’s responsibilities, which is why the website uses the latest SSL encryption and firewall technology, designed to keep your data and information safe and secure. All in all, MrSuperPlay is certainly a contender for anyone on the lookout for a quality gaming experience with plenty of variety to make the most of. Banking options couldn’t be better and all members are considered with the variety of promotions and bonuses available. Like with many other online casinos, there are some drawbacks to the website, but none which would drastically impact the overall experience for anyone using MrSuperPlay.